Georgia's climate is warm for much of the year, making it a suitable environment for cold-blooded snakes. Most of Georgia's snakes are nonvenomous members of the reptile family, Colubridae. 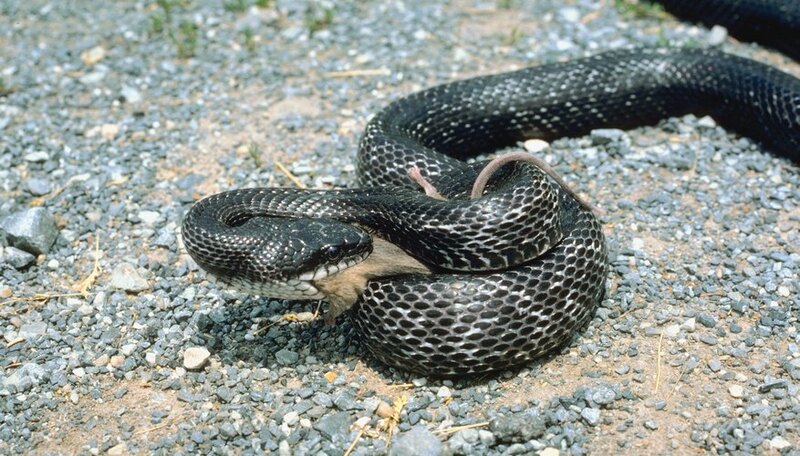 Georgia's nonvenomous snakes rely on constriction to subdue their prey. 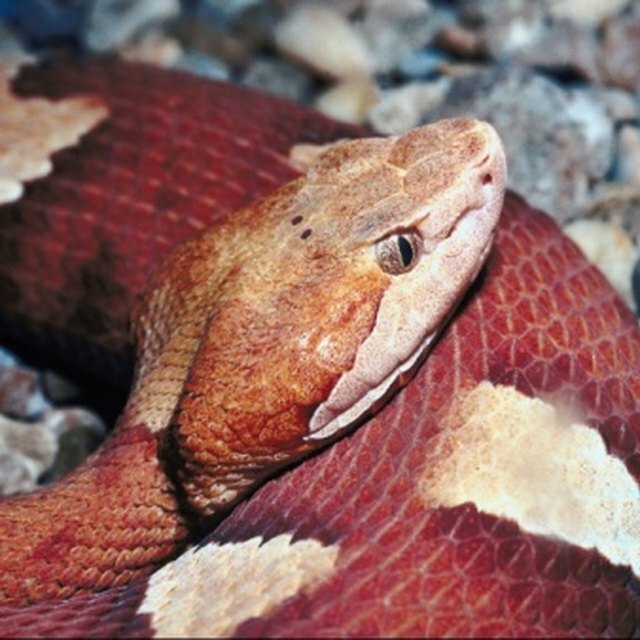 Pit vipers and eastern coral snakes make up the roster of Georgia's venomous snakes. Some of Georgia's nonvenomous snakes look similar to the venomous species, so it's important to understand the differences. 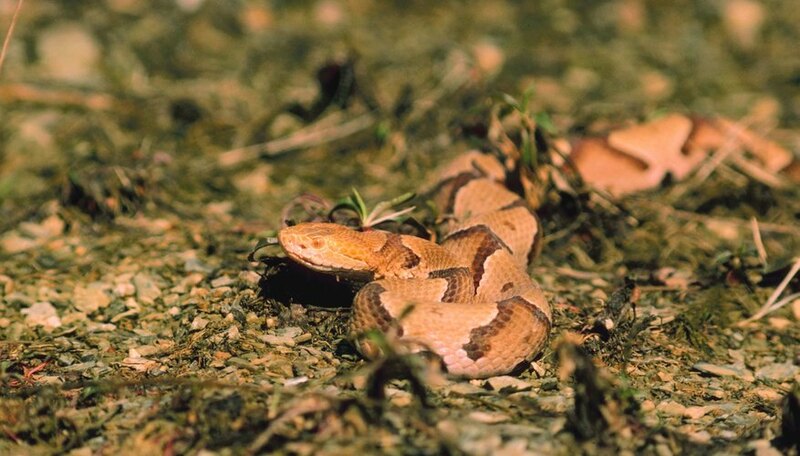 Georgia's venomous pit vipers, members of the Viperidae family, include the pygmy rattlesnake, eastern diamondback rattlesnake, copperhead and cottonmouth. Viperidae have slit-shaped eye pupils and triangular heads. These snakes have facial pits between their eyes and nostrils, which is how they get their name. These pits have sensors that detect heat within warm-blooded prey such as small mice, squirrels and rabbits. Pit vipers have two large, hollow fangs filled with venom; the fangs are attached to the roof of their mouth near the front. The eastern coral snake (Micrurus fulvius), another venomous snake, is the only Georgia snake from the Elapidae family. Unlike pit vipers, the venomous eastern corals have round-shaped pupils. Eastern corals differ from Georgia's other venomous snakes by the shorter length of their fangs. When these snakes bite, they do not control the amount of venom they inject. These snakes have red-yellow-black patterns on their skin. 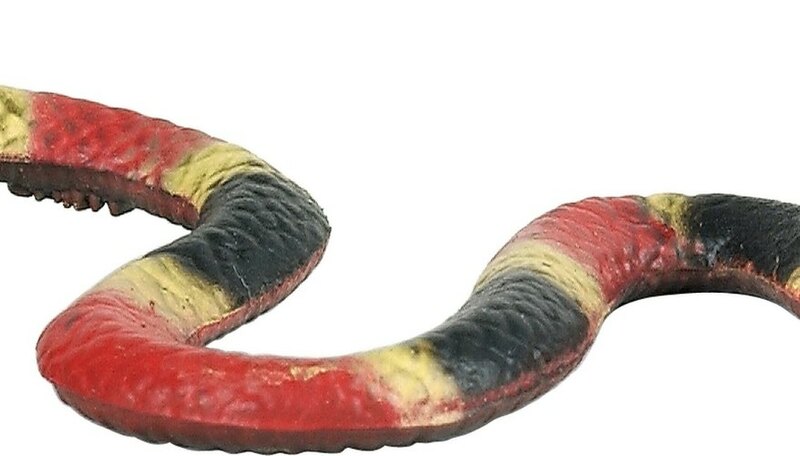 Eastern coral snakes spend most of their time underneath leaves or logs and do not often emerge into open areas, according to the University of Georgia Museum of Natural History. King snakes are nonvenomous snakes that belong to the Lampropeltis genus. Three king snakes live in Georgia: the milk snake, mole king snake and eastern king snake. 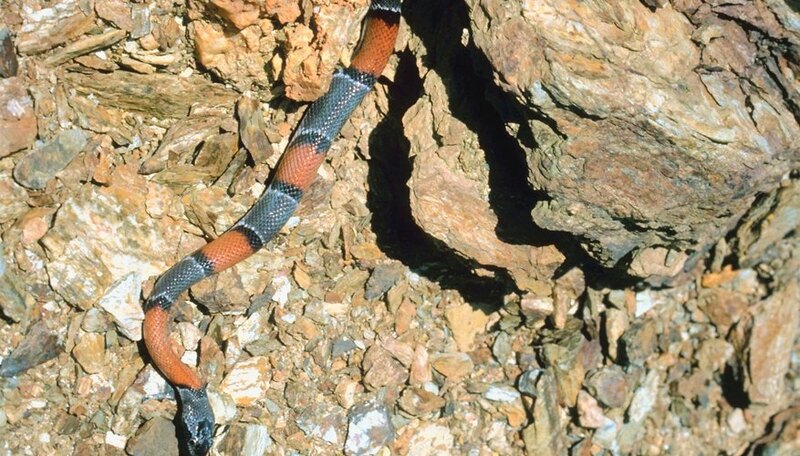 A subspecies of the milk snake, the scarlet king snake, also lives in Georgia. King snakes are so named because they eat other snakes, including venomous species. These snakes are immune to the venom of the eastern coral snake and pit viper. The longest king snake in Georgia is the eastern king snake, which reaches 4 feet long. Humans mistake milk snakes and scarlet king snakes for eastern corals because of their similar skin patterns. However, milk snakes and scarlet king snakes have red-black-yellow or -white patterns. 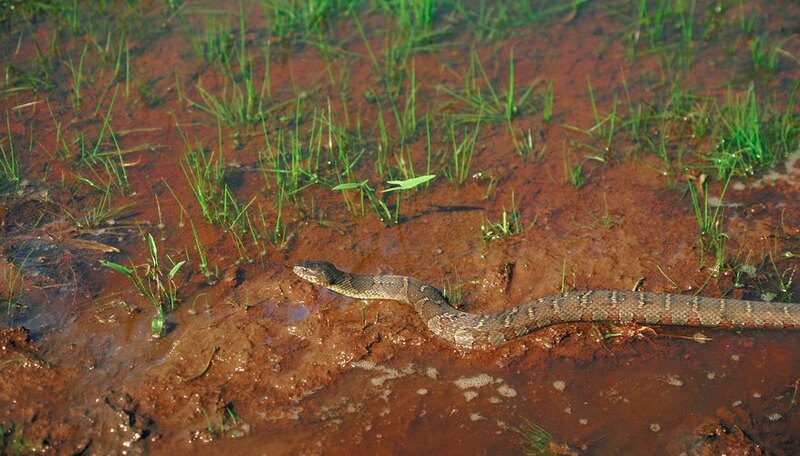 Georgia is home to five nonvenomous water snakes, all members the Nerodia genus: banded, brown, redbelly, green and northern. Water snakes are able to dive and swim underwater. Northern and banded water snakes have brown markings on their skin, which give them a striking resemblance to copperheads or cottonmouths. The eyes of brown water snakes are almost on the top of their heads. 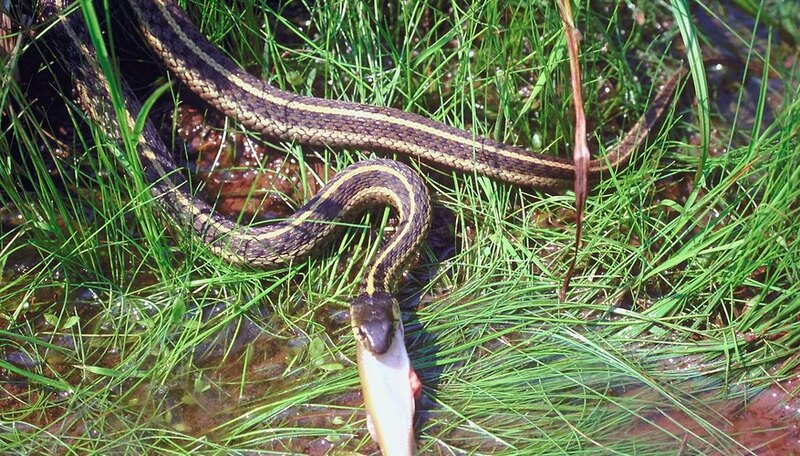 The eastern ribbon and eastern garter are two of the most common snakes in Georgia. Both of these snakes may be identified by the long stripes on their sides; the stripes run lengthwise from head to tail. The slender eastern coachwhip is one of Georgia's longest nonvenomous snakes, at 6 to 7 feet. Other nonvenomous species in Georgia include smooth and rough earth snakes, rat snakes, crayfish snakes, eastern and southern hognose snakes, indigo snakes and black racers. Davis, Skip. "Identification of Snakes in Georgia." Sciencing, https://sciencing.com/identification-snakes-georgia-8773983.html. 24 April 2017.